FOR IMMEDIATE RELEASE: Bangor, Maine (August 4, 2017) – New England Fights (NEF) returns to the Cross Insurance Center tomorrow night, Saturday, August 5, 2017 with the fight promotion’s next mixed-martial-arts event, “NEF 30: Rumble in Bangor.” Earlier today, NEF held the event weigh-ins at the Sea Dog Brewing Company in Bangor. 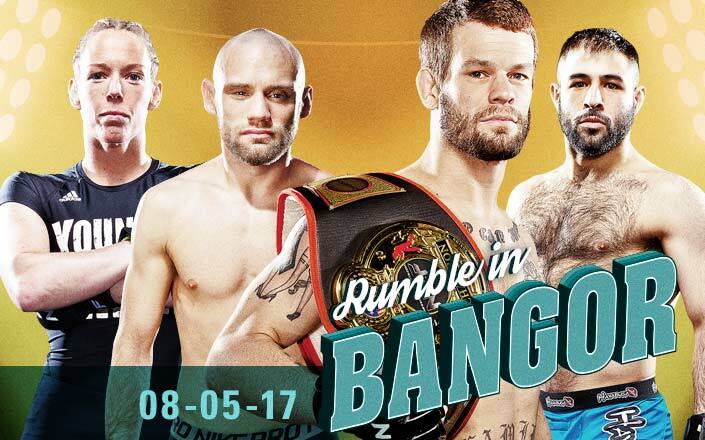 “NEF 30: Rumble in Bangor” will be held at Cross Insurance Center in Bangor, Maine this Saturday, August 5, 2017. Bell time is scheduled for 7 p.m. Tickets are on sale now at www.CrossInsuranceCenter.com. Tickets will also be available at the door on Saturday night.